My father in-law loves going for fishing trips and as a result, knows quite a few good seafood restaurants. 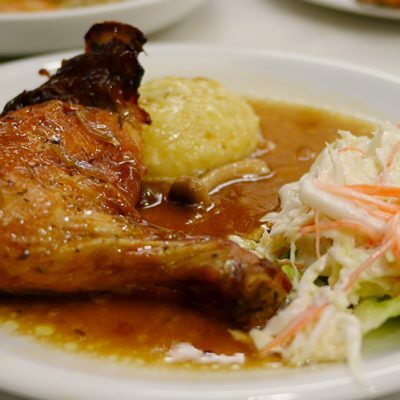 So far, I’ve enjoyed his recommendations as the dishes are unique and inexpensive. Over the weekend, we took a drive to Sungai Burong for lunch. I was told Sungai Burong is a nice place to go fishing; something I wouldn’t know because fishing isn’t my thing. Eating however, is my thing. 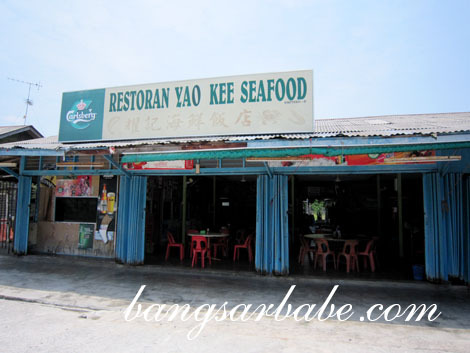 Yao Kee Seafood Restaurant is one of many seafood places along Sungai Burong. We were there at 11am, so food arrived in a jiffy. As soon as we ordered, the lady boss placed a metal bowl of ‘fisherman’s snack’ on the table. This was a nice change from the usual peanuts. 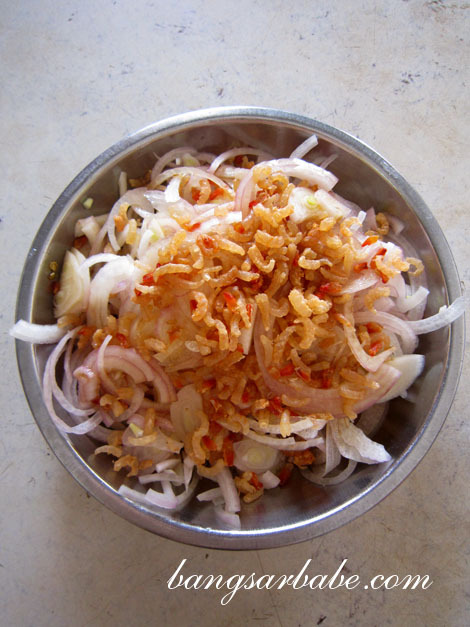 The tangy-savoury combination of chopped shallots, cili padi and dried shrimp in lime juice prepared us for the feast we were about to tuck into. 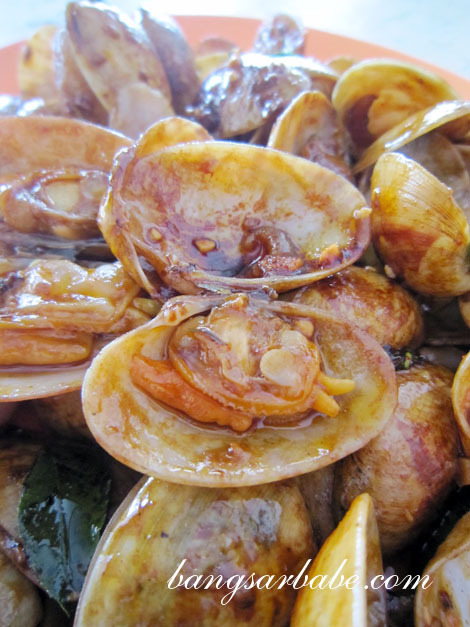 Kam Heong Lala (RM14) was delicious. The lala was meaty and well accented by the kam heong gravy. I rather enjoyed the kung po mantis prawns (RM16). 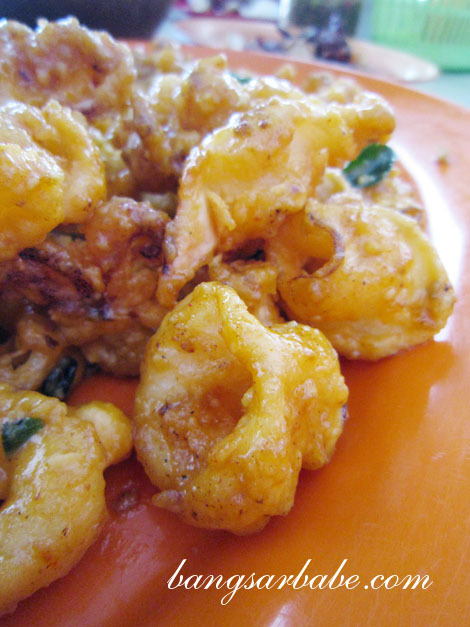 The prawns were large and meaty, unlike the flour battered, limp ones some places serve. Flavour-wise, I liked that the kung po flavour didn’t overpower the taste of the prawns. 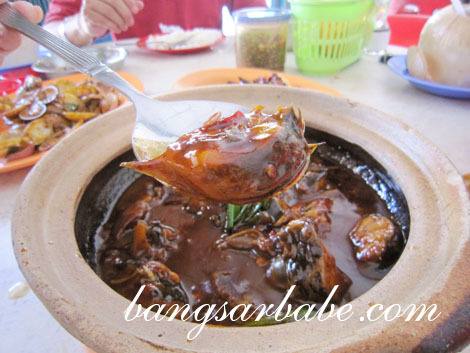 Claypot Asam Fish (RM18) is also served here. 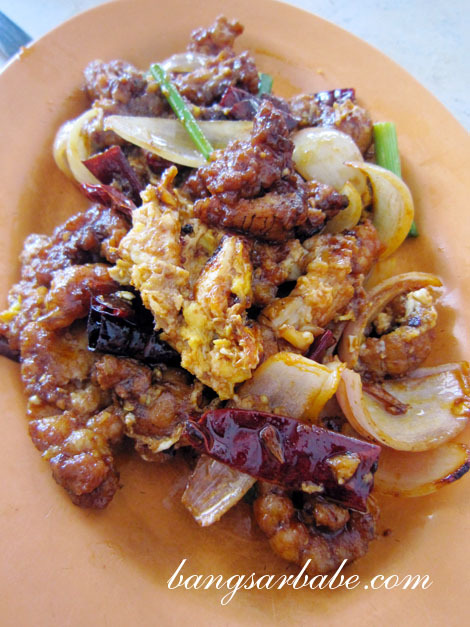 Previously, the only place I knew served such a dish was Sin Hai Ping in Kuala Selangor. This wasn’t as good as the one in Kuala Selangor as the gravy lacked oomph. It wasn’t spicy or tangy enough. And catfish isn’t my favourite fish to eat, because I don’t fancy fishing for bones between my teeth. Salted Egg Yolk Squid (RM30 – large) was oh-so-good. The squid rings were just slightly chewy and thoroughly coated with egg yolk gravy. Not for the faint hearted. 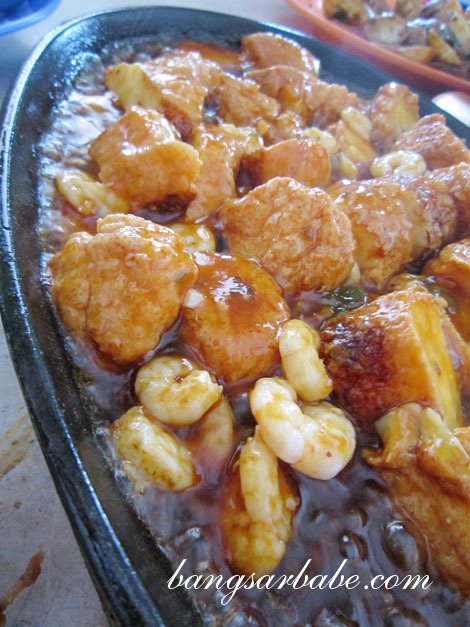 Our sizzling tofu (RM15) came laden with plenty of tiny prawns. This was nothing to shout about, but went well with white rice. 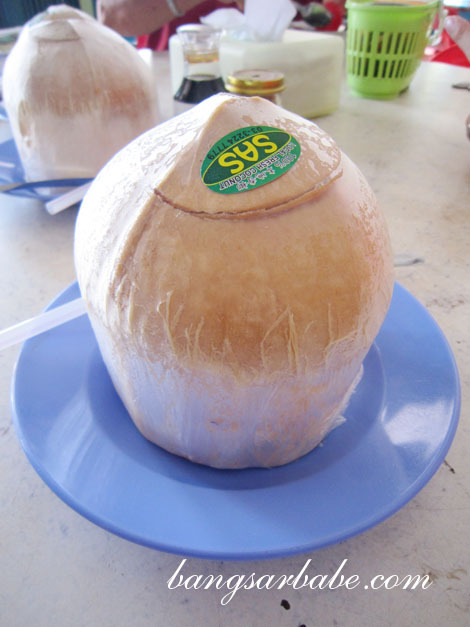 The bill came up to RM110 inclusive of 3 bowls of rice and 3 coconuts. Very reasonable, considering the portion and quality. Verdict: Try the kung po mantis prawns and salted egg yolk squid. And the ‘fisherman’s snack’! I love such drives for food. 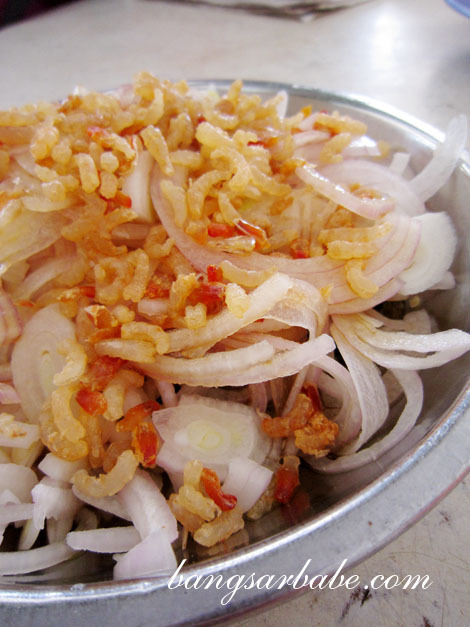 Dishes may be the same but preparation and finishing are more often than not different from KL. 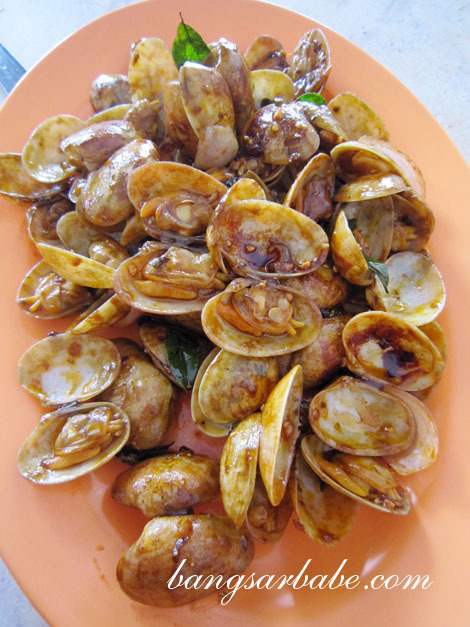 I think I could eat the fisherman’s snack, without other dishes.! Is that some egg in the kung po mantis prawns? 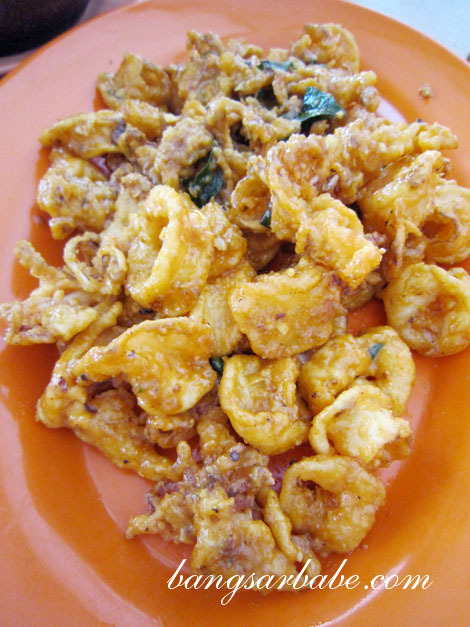 The appetizer of fisherman’s snack and the salted egg yolk squid look delicious. And that was a small sum to pay for all the dishes you guys ordered. A hidden gem I guess. Those seafood must be very fresh hor…. Yup. Fresh and tasty. I can’t wait for my next trip there hehehe!